At the Sugar House development (from left to right): Robbie Wood, Henry Construction; Simon Charlton, Vastint UK; Alex Harvie, Vastint UK; Richard Lam, Vastint UK and Edward Hardy, Considerate Constructors Scheme. Vastint – the international real estate organisation of over 25 years – has joined the Scheme as a Client Partner. Vastint UK has an impressive portfolio of large-scale mixed-use projects in the UK including Sugar House Island in east London, the Brewery Site in Leeds and The Embankment in Cardiff. By becoming a Client Partner, Vastint UK is making a commitment to demonstrating its passion to improve the image of construction in partnership with the Scheme, ensuring the utmost consideration towards the community, environment and its workforce in all of its UK and Irish-based construction projects. Vastint is a hugely successful and internationally recognisable real estate developer. The Scheme is delighted that Vastint UK has become a valued Client Partner and in doing so pledging to deliver projects with considerate construction at their very core. We are excited to work with Vastint UK and are looking forward to sharing our expertise, experience and mutual ambition to improve the image of construction. At Vastint UK, we create large-scale urban developments which balance working, living and leisure activities; places designed to be characterful, connected into their history and local context, and most of all, thoughtfully designed from the inside out. 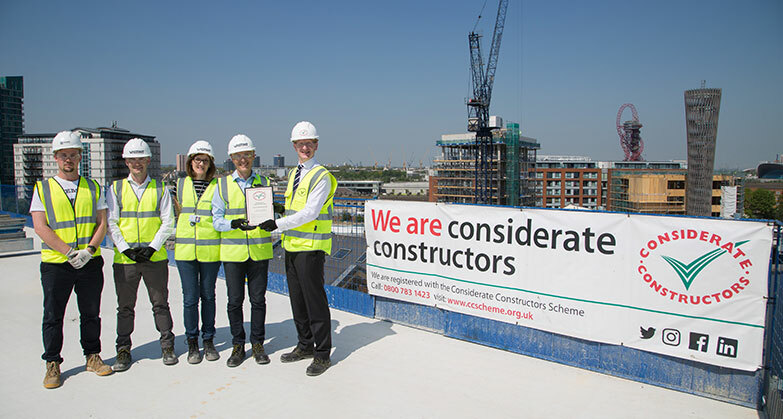 We are delighted to become a Client Partner of the Considerate Constructors Scheme. We support the Scheme’s values and believe it is important to encourage all our contractors to strive to deliver best practice in all areas of their work. Client Partners agree to recommend Scheme registration to all sites under their control, encouraging compliance with all aspects of the Scheme’s Code on their registered sites. The Scheme currently has over 60 Client Partners. To see who they are and to find out more about Client Partnership click here.